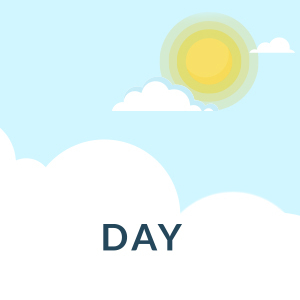 What does prolonged sun exposure do to my skin? Ultraviolet radiations reaching the earth?s surface are largely composed of UVA and UVB rays. The UVB rays can penetrate only through the epidermal or outermost layer of the skin, which can bring changes that may be clinically related to specific signs of photo aging, such as wrinkling, increased damage of elastic and collagen. Most Indians tan because of sun exposure. Meanwhile, UVA rays can penetrate deeper into the skin, which means the dermal layer also suffers damage. Constant UVA exposure can reduce the size of the dermal layer. Free radicals, also called ROS (reactive oxygen species, which are formed on exposure to UV rays). High exposure can reduce the ability of the lipid barrier to protect your skin and affect your overall health. The best way to save your skin is to avoid too much exposure. 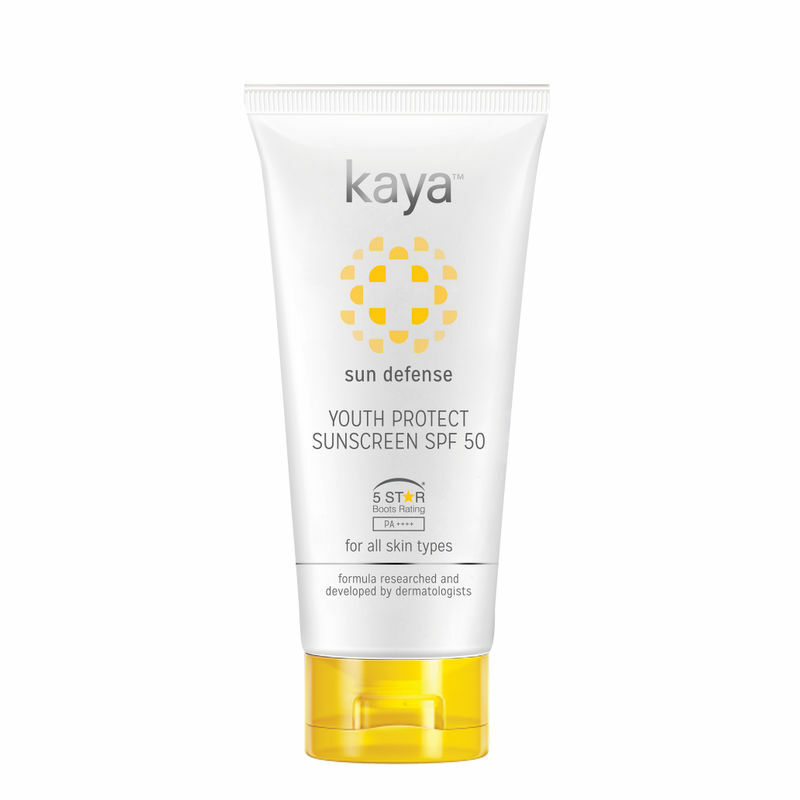 Sunscreens are recommended for children and adults. The skin of babies is thin and absorbs the chemical ingredients easily; hence, sunscreen is not recommended for them. They should be protected by clothing & hats. What are the common myths about sunscreens? Myth: I do not require sunscreen on a cloudy day. Myth: I do not need sunscreen while in water. Fact: Water offers only minimal protection, and reflection from water in fact enhances UV radiation exposure. Myth: I am not sunburned if I do not feel the hot rays of the sun. Fact: Sunburn is caused by UV radiation that cannot be felt. Myth: I apple sunscreen regularly, but I get a tan. Fact: Adequate amount has to be applied to get the best out of the sunscreen, and needs to be repeated under direct sun exposure and near beaches. Fact: For general incidental sun exposure, SPF 15 is good enough protection. 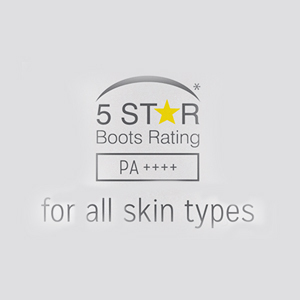 Recent US FDA recommendations have suggested to put the cap on the SPF number as 50+. Explore the entire range of Face Sunscreen available on Nykaa. 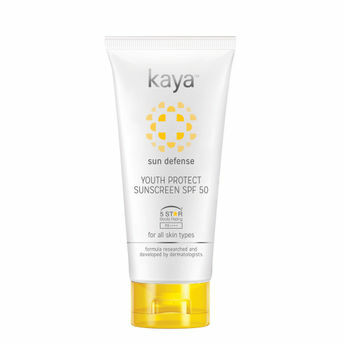 Shop more Kaya products here.You can browse through the complete world of Kaya Face Sunscreen .